And this is really my experience with the show in general. There are many reasons why this first season of Doctor Who should not stand the test of time. There are flubbed lines, cameras banging into things and jostling during dolly shots, a very high suspension of disbelief required to overlook some of the stupider moments of logic, etc. There’s also the low-budget 1960s FX work, which will turn off many (but I enjoyed thoroughly), and that distinctly ugly and rather odd look of the ’60s videotape it was shot on. In spite of all of this, the fun of the premise shines through. It’s wrong to criticize the budget of the production, anyway. It’s easy to laugh at things like the incredibly slow and awkward battle that Ian has with an Aztec warrior atop a pyramid, but I always found myself laughing along with the show instead of at it. Each story has fairly elaborate sets built just for it, as well as lots of good costume work. I appreciate what they were able to achieve instead of focusing on what they weren’t (and this is precisely the key to enjoying any low-budget content). I don’t know that I’d recommend that everyone should watch the whole season like I did (especially if you don’t care about classic TV or low-budget stuff), but I would say that The Aztecs story (4 episodes) and The Keys of Marinus (6 episodes) are great examples of what the show has to offer. 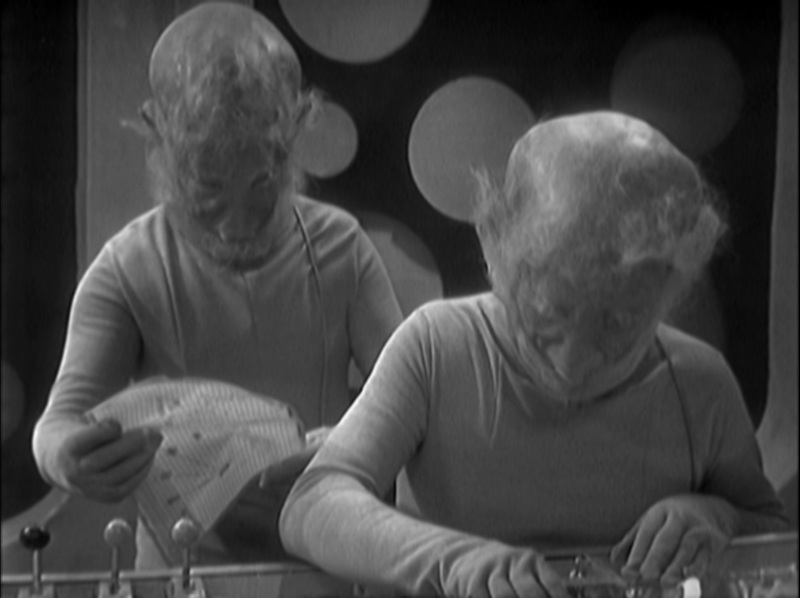 I’ve read elsewhere that The Keys of Marinus is generally not well-regarded, but I loved it. The final story of the season, The Reign of Terror (6 episodes), is also quite good, although only four of the original episodes survive and the remaining two have had their original soundtrack placed over questionable animation. 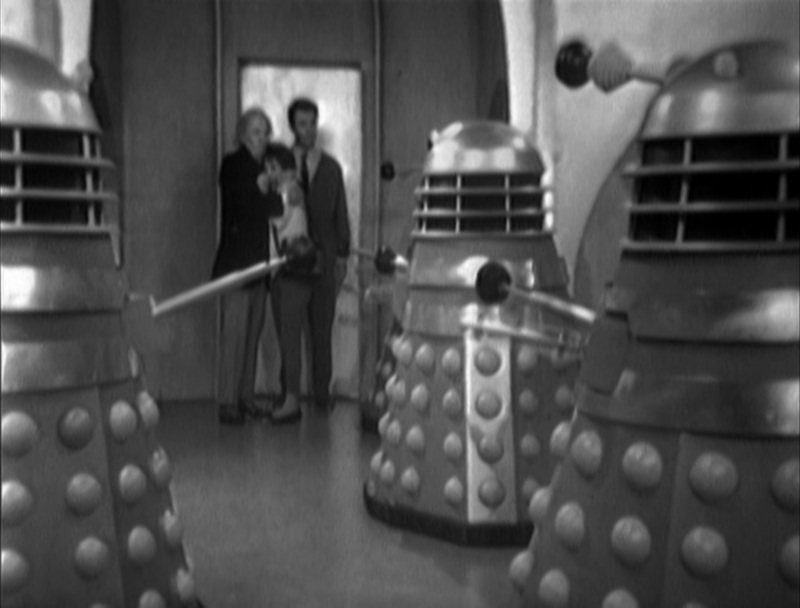 The Daleks (7 episodes) is also of interest for introducing the series’ ultra-villain, but I honestly found that story to be needlessly stretched out. It probably could have been 4–5 solid episodes, but I forgive them as it was only the series’ second storyline. 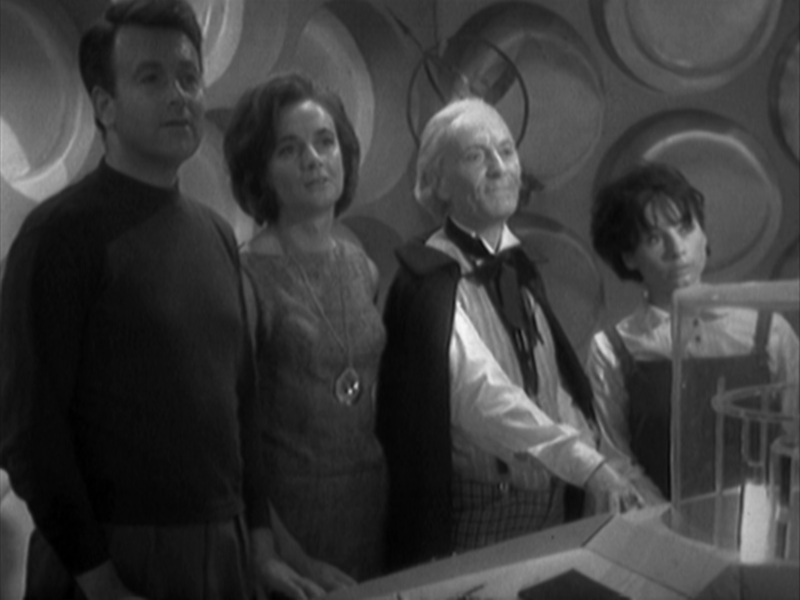 The first episode is also a notable one to see, as it is quite brilliant in its introduction to the world of Doctor Who. Doctor Who himself doesn’t even appear until halfway through the show! Instead we begin with a pair of teachers, Barbara and Ian. They’re humans with no knowledge of the supernatural goings-on around them, but they are suspicious about the home life of one of their new students, Susan. Susan exhibits great knowledge in some subjects, but is almost totally clueless in others. This investigation soon leads them all down a path of mystery and the adventure of a lifetime! I also want to mention the theme music, because it is incredible. 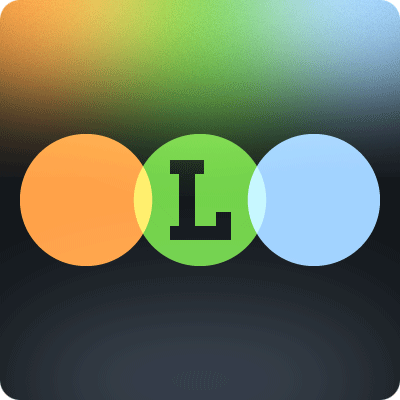 It’s notable for the time as one of the earliest examples of electronic music. This is something easily overlooked in the current age of nearly complete digital takeover, but if you read about how the theme was painstakingly created, you’ll get a good idea of how much effort went into creating this very memorable, otherworldly science fiction theme. A simple orchestral score would have been much easier, but I can definitely say that the extra work was worth it! The theme is catchy and incredible, and about five seconds into the first time I heard it I was in love. There’s also a distinct difference in Doctor Who compared to the TV shows of the period from the US. It’s a hard thing to explain, I think, but Doctor Who feels much more low-key and quaint. I haven’t watched a lot of British TV from any era, so maybe their programs are just like this in general. Anyway, there’s far less pomp and circumstance, almost like Doctor Who is a public access cousin to the US network TV shows. 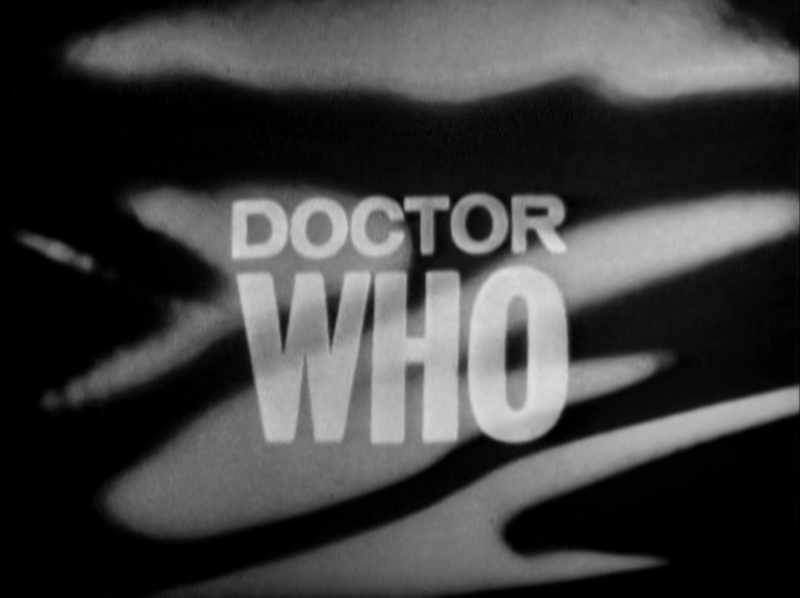 The Doctor Who intro is roughly 20 seconds long and features nothing but the show’s title and some trippy graphics. This makes the show more mysterious the first time you see it as you really have no idea what to expect from the intro (other than something in the sci-fi genre). American TV shows of the era were also supported mainly by sponsors, and often had the characters do small promos for these products. I don’t believe that British TV had this sort of relationship with corporations at the time, and it shows. Doctor Who doesn’t feel beholden to anyone; I’m sure there were creative restrictions on the writing staff, but it feels virtually wide open. And finally, I’d like to mention the character of the Doctor himself. He’s far different than I had imagined him to be. He’s actually not much more than a smart old man with a ship that travels through time and space, at least in this inaugural season. We don’t know why he’s got the ship, we don’t really know much of anything about him or his granddaughter. In a more modern show, character depth would be required but in this style of adventure serial that’s all we need. For this kind of thing, the Doctor’s character is perfect. He’s equal parts kind, aloof grandfather and curmudgeonly old man. It’s an endearing mixture that quickly worms its way into your heart. It’s interesting to note how different the character was originally, though, in the show’s unaired pilot (which is available on DVD). The actual debut episode is based on the same script as the unaired pilot, with slight alterations, so it makes for a great comparison of how small character changes can affect a work of fiction. In the unaired version, the Doctor is downright mean, not doing much more than yelling at everyone throughout his scenes. He seems like quite the vicious soul, and as I watched I wondered how such a hard-to-like character could spawn a huge cult following. Upon watching the actual debut episode, it all became clear. I imagine that if these changes were not made to the Doctor prior to the show’s airing, we might not have hundreds and hundreds of Doctor Who episodes! Well, so much for a few quick thoughts! I guess I had a lot more to say than I expected to. In any case, take my geyser of words about this newfound treasure (to me) as a representation of how much I enjoyed it. And feel free to chime in with your thoughts too! This is a fan-made recreation of what a trailer might have been like, and it’s really well done! Glad you’re on board, my friend. I have a personal affection for The Daleks story, it was the first of the First Doctor stories I ever saw, so in that regard it’s got sentimental overtones for me; but what I really enjoyed about these early years of the show is how little they worried about giving the Doctor (and the TARDIS etc) a proper backstory – he just WAS, and that was okay (something that just wouldn’t fly as easily today!). It was only later they obviously felt it was time to explore the Doctor’s history and mythology, something the new series’ have tapped into in a much bigger way. Glad to be on board! It’s been a long time comin’. I can’t wait to get to the later series, too, most especially the new ones. I’m doing my best to stay away from anything about them, but I have seen an image here and there. It looks so awesome. It’s going to be a fun ride there, I’m sure! I love how the Doctor and the Tardis just exist with no explanation here. It’s all in the name of fun. People these days forget how to have fun with their entertainment a lot of time, I think. Thanks for your comment, Matt! This first season was my first exposure to the Doctor, so I’m sorry that I can’t speak any of the later repetitive storylines you mention. I watched the Tele-snap shortened reconstruction of Marco Polo, and I can imagine it would be one of those that feels a bit too long. I’m glad they made the version I watched, though, it filled in the hole rather well and consequently I wasn’t wondering why Ian was wearing the Chinese robe in the next story. 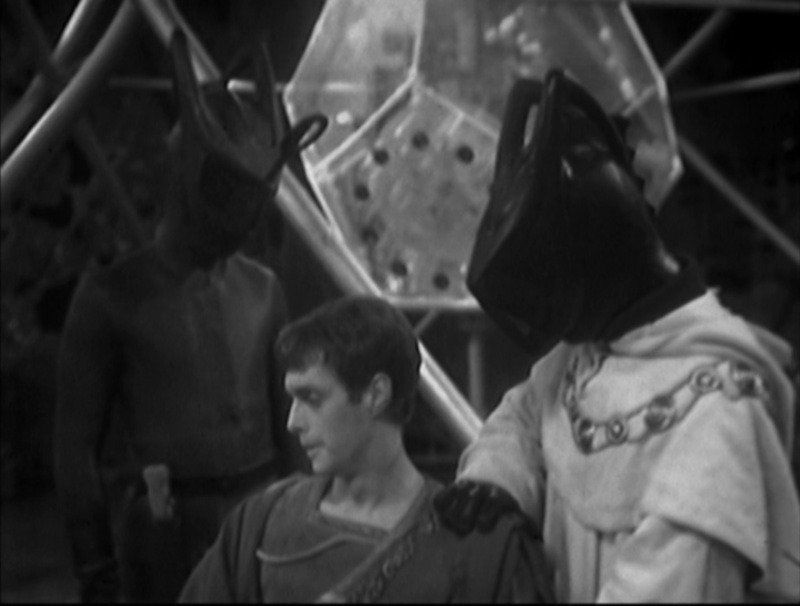 Keys of Marinus is a lot of fun, even if the Doctor is absent from a couple episodes. The varied locations really spices things up compared to the previous stories. I just found this in the spam folder! It is hard to summarize your thoughts on an entire TV season, but with this show I had so many thoughts it was pretty easy overall. The other shows I’ve watched recently, though, I wouldn’t know where to start! Thanks for commenting.